I wanted to go to the cinema to watch but it make me wait too tooooooo long… So i will prefer DVDRip. But after watching the movie, i still wanted to go to cinema to watch! In Real3D!!! It will be pretty exciting. This movie had score a very high mark in IMDB rating, (8.1/10 11,486 votes) which shows this movie is really really interesting! Using all those pictures, join them to make a movie! The whole movie is one hour and forty minutes long, this is the longest stop-motion movie up to now! Plus it was the first stop-motion animated feature to be shot entirely in 3-D! And the storyline is pretty interesting! 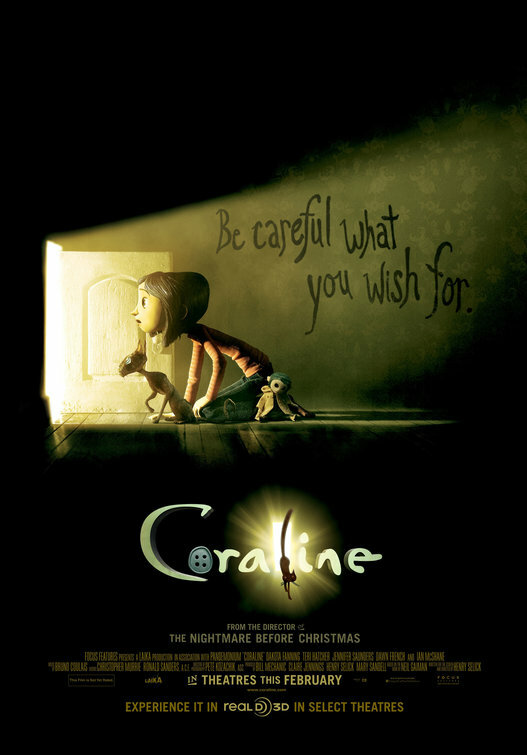 As you can see in the trailer, is was a little bit scary… So if you bring your child or younger brother to watch this, they might have a nightmare after watching it… But they will enjoy the movie throughout! The storyline is well written and is not that a child can fully understand the meaning behind it. It is basically about family and friends. This is a very meaningful movie and worth to watch it in cinema. So JOM~ This august… Lets watch it in 3D! So, do you know what happended recently? Yo~ Everyone in Malaysia (or bloggers) is grabbing ONE iPhone by blogging about McValue Lunch! Do you aware that McD did something very bad to all contestant of blogger? They leak out their private information! Although i know this contest is going to end very soon, but be aware this case wont happened once… For other similar contest by other company, beware of how their organize and their Terms and Agreement….. Ya, i gila iPhone too… but i didnt take part in this cos i dont like it.. Ya, i like to eat McD but i took the photo but didnt blog about it… cos i dont like what they are doing! Internet may have a lot of freebies around but do look clearly before take part. If not you wont win BUT lose everything….